One of the reasons why Shameless has been so successful is that the Gallaghers are so relatable. They aren’t wealthy high-schoolers with impeccable fashion and unrealistic problems. In fact, the Gallaghers could be your neighbors in any city in America who struggle with addiction, law enforcement, and family conflict. The actors in Shameless do an incredible job of resembling normal life in America, but in real life, they are nothing like their troubled characters. See what the cast of Shameless looks like out of character. 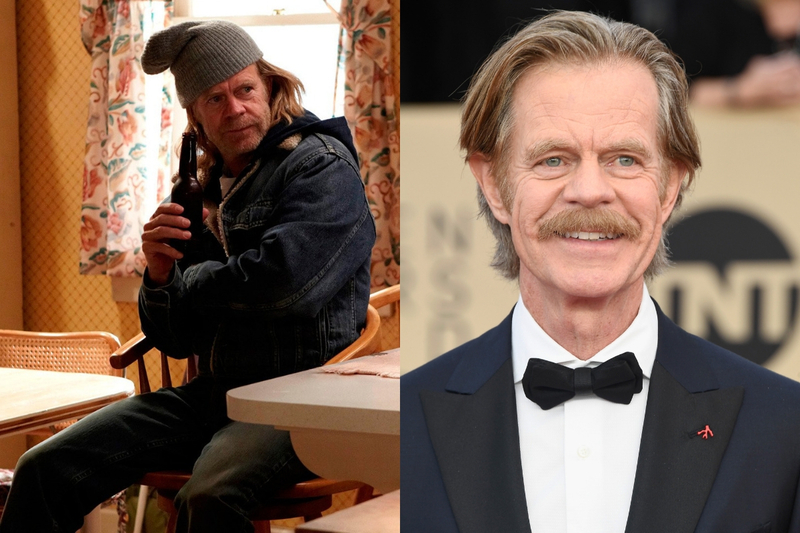 Only the talented William H. Macy could portray such a conflicting character like Frank Gallagher. Frank is the series patriarch who, for better or for worse, is a major part of his kids’ lives. When he’s not at the local bar with his friend, Frank is passed out at home or getting into fights with his kids. In real life, Macy has made a career of playing the “everyman down on his luck” thanks to his hit role in the film Fargo.